Join thousands of other students, families and enthusiastic astronomers counting stars in 2009 for the Great World Wide Star Count! This international event encourages everyone to go outside, look skywards after dark, count the stars they see in certain constellations and report what they see online. This Windows to the Universe citizen science campaign is designed to encourage learning in astronomy and highlight the growing problem of light pollution. 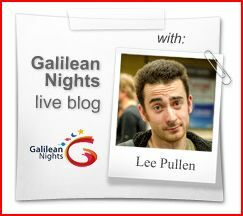 The Great World Wide Star Count is underway now and is just one more activity that you can do during Galilean Nights.